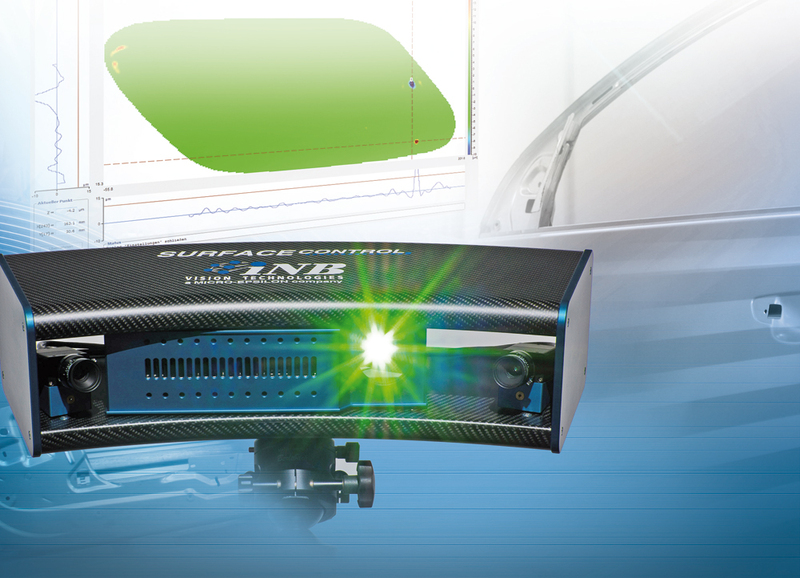 INB Vision AG Magdeburg, a company within the Micro-Epsilon Group, has updated the software package for the surfaceCONTROL measurement system for defect detection on diffuse reflective surfaces. surfaceCONTROL DefMap3D 6.0 is used for the detection and detailed analysis of surface defects in test labs. The surfaceCONTROL Inspection Tools 1.3 software can in comparison be used for the fully automatic defect recognition during production. surfaceCONTROL DefMap3D 6.0 is a comprehensive software solution for the detection and analyzes of 3D surface defects. The software is used to set up and configure the 3D surfaceCONTROL sensor for inspection tasks, enabling fast evaluation of data. Unlike CAD comparisons, DefMap3D enables quick and easy recognition and allows evaluation of the smallest, local shape defects, even on surfaces with geometrical tolerances. For fast inspection of large components, surfaceCONTROL DefMap6.0 enables different sensor positions to be combined into one project. Now it is possible to define several measuring ranges, adjusted to the component’s geometry, within each sensor position. In the respective measuring range, the optimal analysis tools are used to recognize the different types of defects. The expanded 3D viewer can represent the surface photorealistically under defined light conditions. The unique "Digital light tunnel" can now also be used in the overall view with the simulation of several parallel stripes (zebra striping) for the combination of different sensor positions. With the "Digital stone", the contact pressure of a physical whetstone can be simulated, significantly optimizing the representation of relevant deviations. The fields of application for the new software include the evaluation of visible, local deviations on instrumentation panels, measurement of small parts for process optimization of injection-moulded parts, and robot inspection of several measuring fields on car components, etc. In contrast to the analysis of small parts or series with DefMap3D 6.0, the surfaceCONTROL InspectionTools 1.3 software package is suitable for automatic defect recognition in production. It is modular in design and so the required tools for customer-specific inspection tasks can be accurately reproduced. The software communicates with higher-level control systems via an interface and regulates the process by applying OK/NOK decisions.